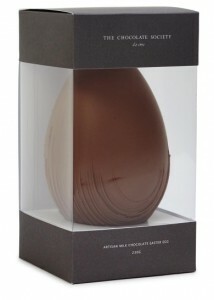 Discover the stylish new confectionary collection at Harvey Nichols Foodmarket this Easter. Enjoy a selection of indulgent sweet treats, from Rabbit Origami, an edible masterpiece from French chocolatier Michel Cluizel, to Dulche de Leche Chocolate Coated Liquorice by Danish liquorice experts Lakrids. 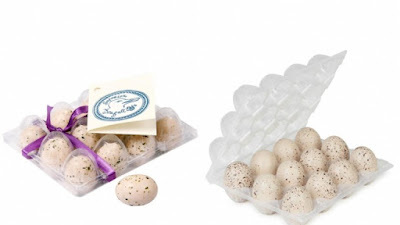 Salted Caramel Seagull Eggs, chocolate easter eggs which are anything but ordinary! Looking like genuine eggs the crunchy candy shell covers a soft salted caramel centre so decadent and delicious you’ll be left with no choice but to have another, and quite possibly a third! 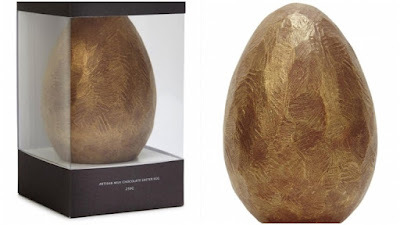 The best milk used for the perfect chocolate easter egg and finished with a hammered gold effect, this flawless piece is escorted by a handful of mouthwatering hand-rolled truffles.